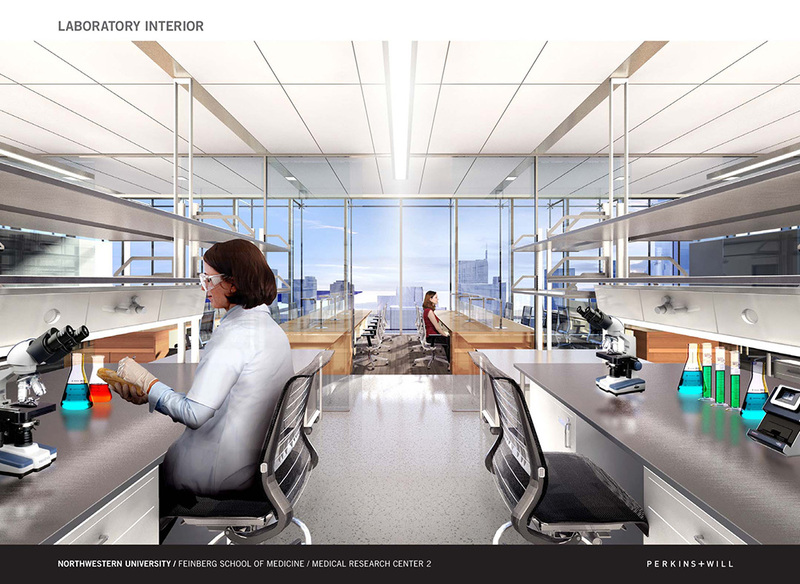 The architecture firm Perkins & Will got the nod late last week to design the biomedical research facility that will be built on the site of the old Prentice Women&apos;s Hospital. Northwestern University trustees made the decision last week, picking Perkins & Will from a field of three finalists. What did the design have that the others didn&apos;t? A university spokesman told the Tribune the winning scheme has "elegant design and functionality of the floor plans"--a vague diagnosis, if there ever was one. The project is expected to get underway in 2015 with a $370 million first phase, seen in the images below. A second phase--and there&apos;s no budget or timetable for it--includes the lab tower in the image above. The former Prentice Hospital, 303 E. Superior, which was the subject of the fiercest preservation battle in at least 30 years, is now under demolition. Will Chicago get great architecture out of this? That was the promise, of course, from Northwestern University and City Hall once the pipes started calling for old Prentice. 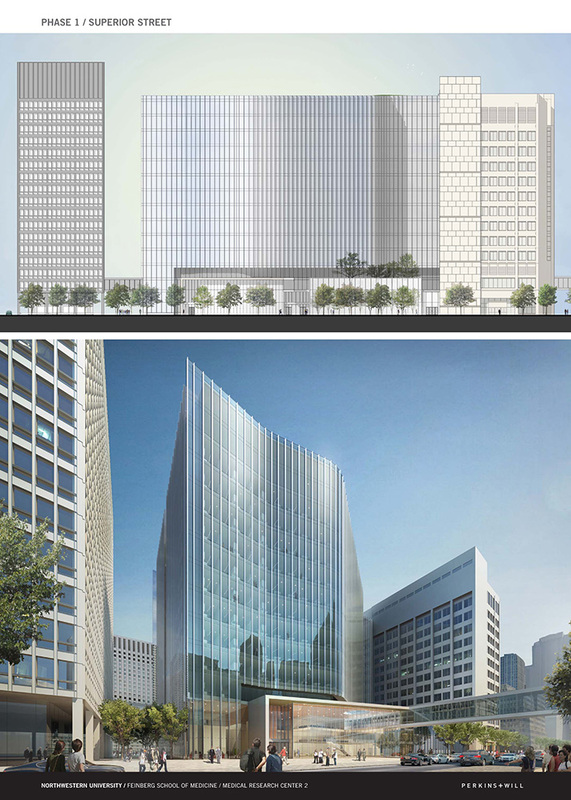 The glassy, angular facade in the first phase holds a lot of promise--as far as one can tell with renderings, at least. It looks like a building the city could live with if the second phase winds up not getting built. But the building looks best with the tower. 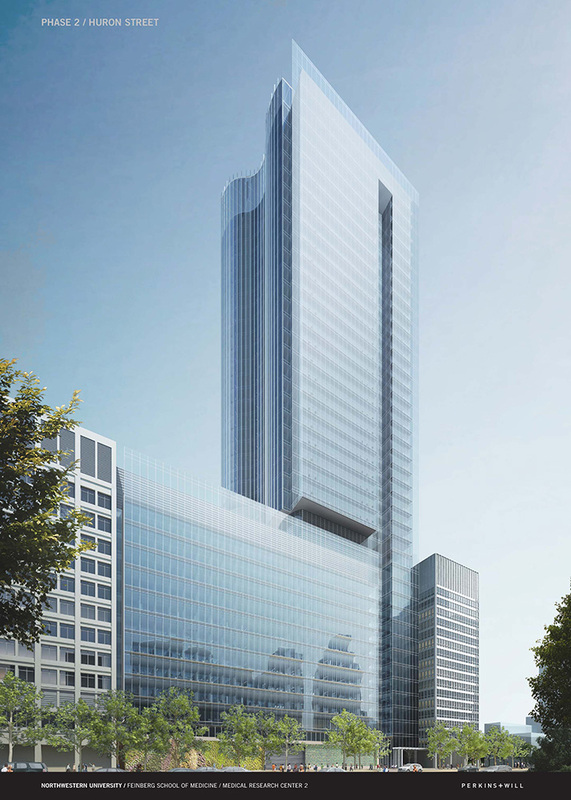 The tower doubles the building&apos;s area to 1.2 million sq ft and makes what could be a much-needed elegant mark on the Streeterville skyline. So it&apos;s troubling that Northwestern--so exacting in its public appeal for Prentice&apos;s demolition--can&apos;t say publicly when the other half of their new building will be constructed. As the former Prentice is wrecked and hauled away and the new design makes its way through approvals and design refinements, the fight for good architecture on that site might not yet be over.